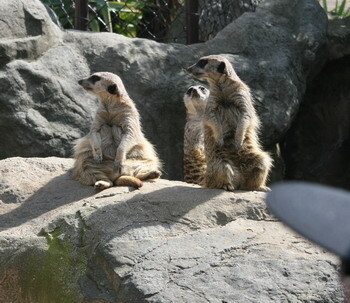 A few times each year the local zoo opens very early in the morning for its members to come in and watch the animals having breakfast and such. 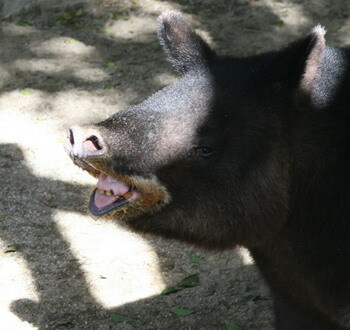 The tapir gave us a friendly smile, even though we disturbed him during breakfast. 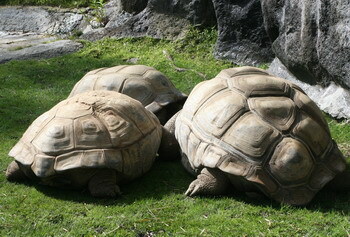 In the next enclosure the tortoises were plotting again how to take over world power. They agreed on acting very, very, very slowly. 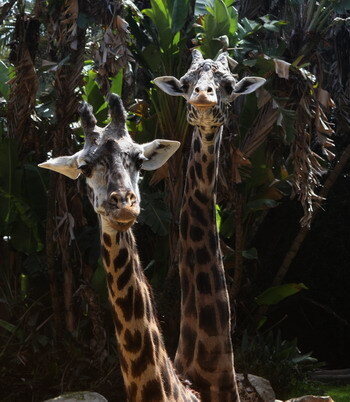 Those giraffes… Guys, just having a long neck does not make you automatically a superior being. Stop looking so smug! 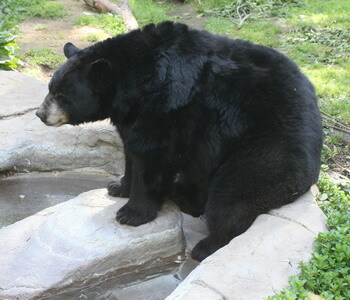 This is not a Black Bear, this is a lazy bear. 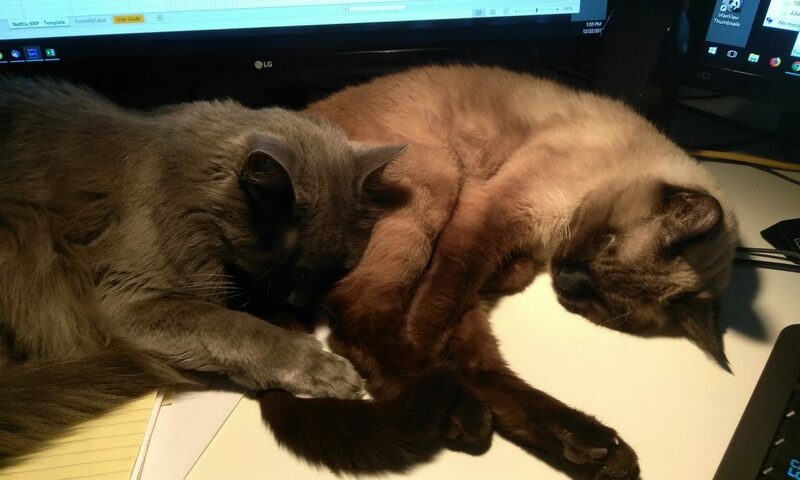 So lazy that he can sleep even while sitting. And this is a totally exhausted sentry. 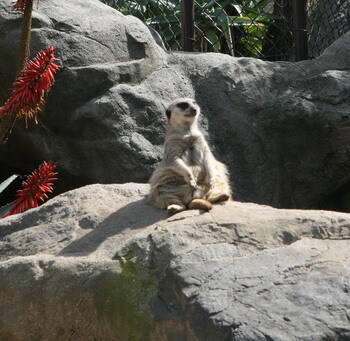 It’s not easy being a meerkat!